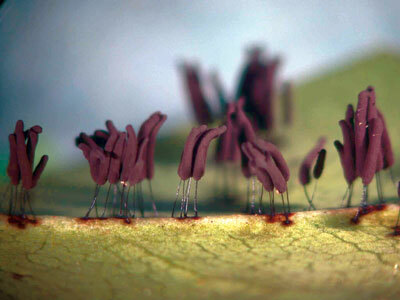 What researchers know about slime molds is often astonishing. Like the Terminator prototype, some slime molds can accomplish an incredible feat: if blasted into bits, the pieces will slowly find one another and ooze back together. What scientists don’t know is fascinating as well: patterns of worldwide distribution, why slime molds are found in unlikely places, to what extent the different varieties share the same genetic background. The National Science Foundation has awarded $14 million in funding for a bold new initiative, the Planetary Diversity Inventory, that will transform the way many scientists conduct their research. Dubbed a “worldwide scavenger hunt” in a November 2003 Newsday article, the project will entail finding and cataloguing all members of four very different species: slime molds, catfish, plant bugs and members of the nightshade family. Professors Steve Stephenson and Fred Spiegel were among only 100 scholars selected to participate in the slime mold discovery initiative. They have won a $2.075 million, five-year research grant from the NSF to compile a global inventory of Eumycetozoans, more commonly known as slime molds. The grant is the largest ever received by faculty in biological sciences at the University of Arkansas. Typically, biologists study organisms in particular geographic areas, with the result that knowledge of a particular species can become somewhat fragmented and information hard to retrieve. 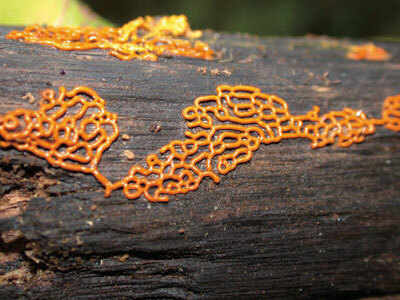 Slime molds are neither plant nor animal, and researchers want to learn much more about them. They fascinate both professional and amateur scientists. They come in a dazzling array of shapes and colors, from warty cones and smooth balls to vibrant reds and yellows. They can be found at nearly every altitude and in nearly every habitat around the world, from tropical rain forests and grasslands to deserts. Stephenson’s scholarship had already taken him to six continents in search of new species. He and Spiegel have numerous field trips planned during the first year of the project, from eastern Africa to Hawaii, Costa Rica, Chile, New Zealand and Australia. They suspect they’ll find the process more like detective work than scavenger hunt. “We’ll be checking many hypotheses, such as the belief that these creatures can move around fairly easily. Similar habitats should produce similar numbers of species, but we don’t have enough information worldwide to know if this is true,” Spiegel said. Some places you think are too harsh, they will show up in great abundance. You might speculate that rain forests would have the highest diversity, but actually it’s rather low,” he said. The research won’t be as gratifying, he added, if the group doesn’t end up revising existing theories. “We’ll be guided by what we discover as we go along,” he said. 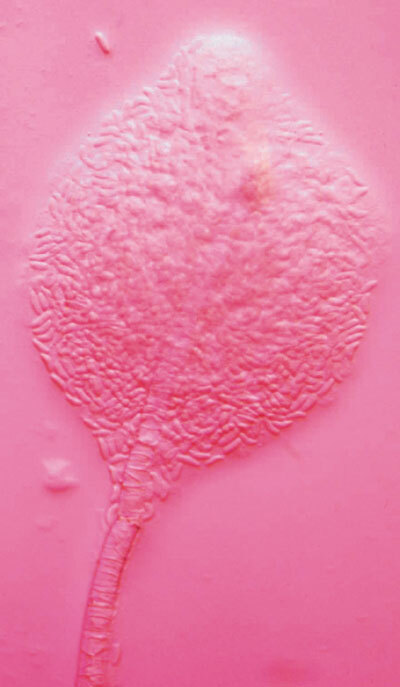 Plasmodial slime molds spend part of their lives as giant single cells with thousands of nuclei, while cellular slime molds typically exist as single cells, able to form a great swarm when triggered by a chemical signal. 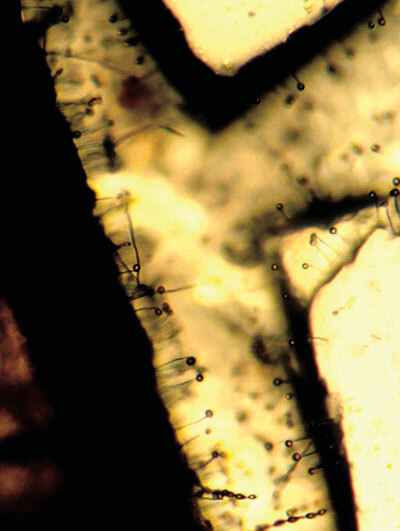 A third type remains microscopic throughout the life cycle. All are called slime molds because a “slimy” amoeboid cell eventually develops into a delicate and often beautiful spore-bearing structure that looks like a miniature mushroom. Stephenson, who serves as project director, knows that trying to survey an entire planet for these microorganisms will be a daunting task, one that could not be attempted without the help of hundreds of other scientists and graduate students, who will assist in collecting and classifying specimens. Understanding global biodiversity is critical to understanding not only the origin of the human race and the impact people have on the environment, but also the evolution and health of the myriad species on the planet. In addition to Spiegel and Stephenson in Fulbright College’s Department of Biological Sciences, principal researchers for the grant include James Cavender of Ohio University, Carlos Lado of the Royal Botanical Garden in Madrid, and Martin Schnittler of the Ernst-Moritz-Arndt University in Germany. puzzle on the ground and having perhaps 10 pieces turned face-side up. You can’t determine patterns when you don’t know what they are,” said Stephenson. They and their colleagues across the globe will study the ecology and taxonomy of the various types of slime molds, which can be found in soil, dead plants, rotting logs, stumps and other microhabitats on every continent. Their results will be presented in a series of publications and on a Web site dedicated to the project. “They are major predators of other microorganisms, such as bacteria, yeasts and algae, but because they have cryptic lifestyles and only a small group of specialists study them, they are among the least-researched groups of terrestrial organisms. We plan to compile a major specimen database, which we will in turn use to construct world distribution maps for all known and new species of Eumycetozoans,” said Spiegel. 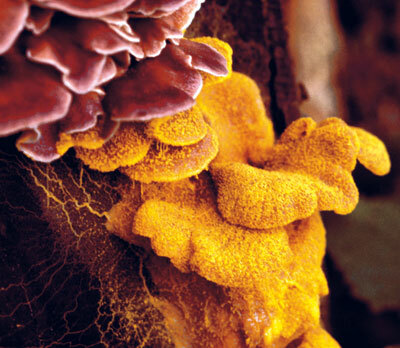 Slime molds perform essential functions in a variety of ecosystems. As they break down bacteria and fungi, they release minerals back into the soil. They can actually communicate between cells and differentiate themselves into favorable shapes for survival, and so can teach scientists valuable lessons about cellular behavior. Cancer researchers, for example, have investigated some to find out how nuclei divide. The team of researchers will study where the organisms occur, how they are distributed and how they move around the planet. They will try to find out if specialization occurs in specific areas of the world and if the various molds are sharing genes. “What we are studying essentially is the diversity of life on Earth. In the end, we’ll have a global database and be able to trace what the distribution patterns are. Several places don’t have good collection records, such as South America, southeastern Asia, sub-Saharan Africa and Madagascar. In the end, the University of Arkansas will house one of the world’s largest collections of these specimens,” said Spiegel. In a related NSF grant, Spiegel, Stephenson and Cavender, with co-principal investigator Jean-Marc Moncalvo of the Royal Ontario Museum in Toronto, will receive $500,000 over the next five years to foster the development of new taxonomists who research slime molds. This project is part of the NSF PEET (Partnerships to Enhance Expertise in Taxonomy) program. It is designed to ensure that groups of organisms studied by few taxonomists are not left without any new, young experts. “In this program, our goal will be to help these scientists see themselves as integral members of the larger community of biologists. We’ll bring together experts in the taxonomy of Eumycetozoans to train new Ph.D. students as well as others already working in fields such as developmental biology, cell and molecular biology, and genetics,” said Spiegel. The four major projects funded under the Planetary Diversity Inventory are being conducted on an unprecedented scale, says Jim Wooley, program director for the Biodiversity Surveys and Inventory Program at the NSF. “We are really stimulating and increasing the pace at which species are discovered. It’s clear we’re not making progress fast enough if we have any hope at all of describing and characterizing the planet’s biota before it’s gone. We asked the groups we selected to tell us what it would take to get the job done completely. We hope the result is tremendous economies of scale, that participants will approach science in a way that has never been done before. Of the many requests we got for funding, these projects emerged as having the teams who could get the job done. They had everything we were looking for,” said Wooley. Prepare students and taxonomists for careers studying and classifying slime molds. 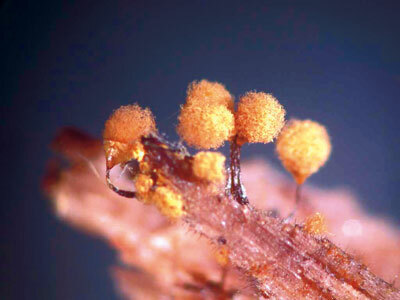 Slime molds have quirky names, such as wolf’s milk, bubble gum, red raspberry, chocolate tube and tapioca. 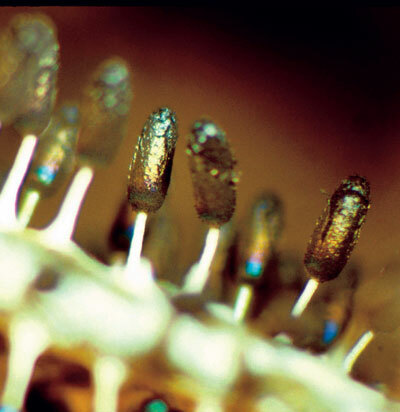 Morten Laane, a Norwegian biologist, has translated the pulsations of slime molds into sound, creating slime mold music. He also exposed molds to cigarette smoke, making the pulsations speed up, and to liquor, which also increased the pulsations, but not for long.